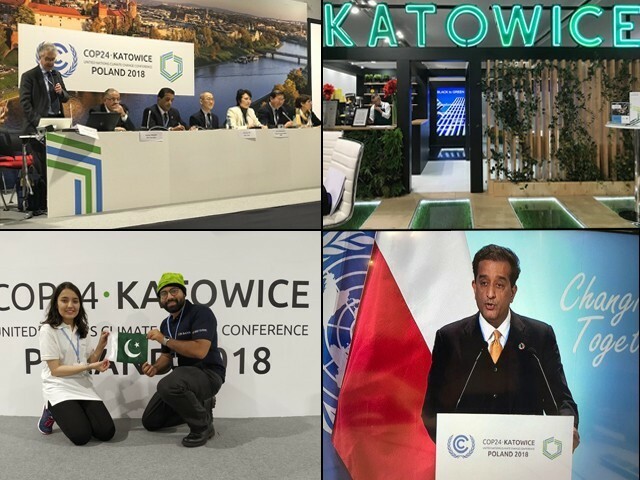 The UN Climate Change Conference 2018, or COP24 as it widely known, started with a bang and ended with a whimper two weeks later in Katowice, Poland. The bang came at the high level opening ceremony on December 2nd where celebrities like Arnold Schwarzenegger and Sir David Attenborough warned negotiators that “time is running out” for the world to take action to control global warming. Unfortunately, their warnings were not taken seriously as the Paris Rulebook that was finalised at Katowice on December 15th actually ended up watering down the Paris Agreement, especially in terms of finance, loss and damage, and there was very little progress on how countries will step up their targets on making carbon cuts. Action star Arnold Schwarzenegger attended the opening session of COP24 and agreed to come visit Pakistan to see the impact of climate change on its large glaciers. In the Paris Agreement, the world had decided to cut global emissions to limit global warming to below two degrees celsius and down to 1.5 degrees through each country’s voluntary Nationally Determined Contributions (NDCs). However, there is a big gap between these promises and the cuts needed which scientists call the “emissions gap”. 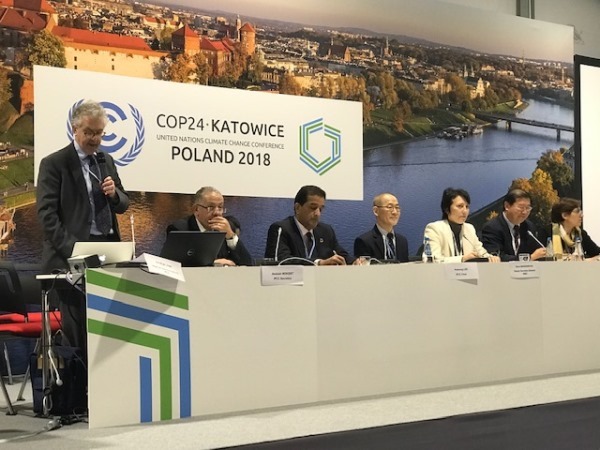 In Katowice, there was hope that countries would make bold decisions to cut global emissions from fossil fuels by at least half by 2030 to stay in line with the Intergovernmental Panel on Climate Change (IPCC)’s recent 1.5 C report. However, governments only agreed on how to measure, report and verify their attempts to cut emissions, and left the conference without renewed ambition, leaving that for future negotiations. 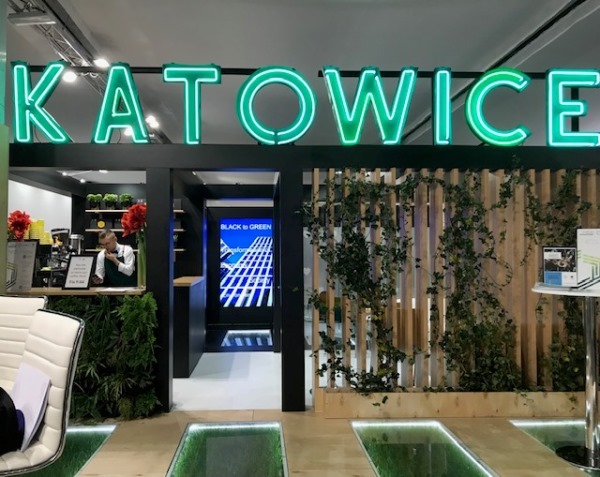 The Katowice pavilion at COP24 actually displayed coal products like coal jewellery! Vulnerable developing countries like Pakistan are largely left on their own to address the impacts of climate change with inadequate finances and no additional budget allotted. The world will continue to warm up and there will be consequences – the temperature has already risen by one degree celsius and it has been a hurricanes, floods and wildfires galore this year. There was therefore a big push at COP24 to use carbon markets (which have not delivered in the past) for countries to meet climate targets. The UN Framework Convention on Climate Change (UNFCCC) has been reduced to a “talk shop” which is delaying action on ground. 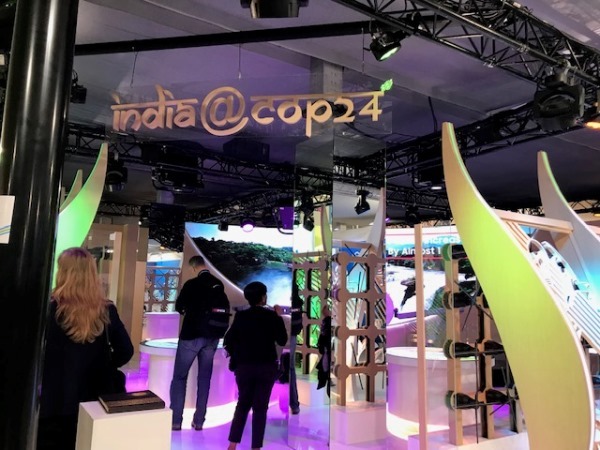 The high-tech Indian pavilion at COP24 (Pakistan did not have a pavilion due to austerity measures back home). The IPCC report is alarming – it says the window is closing fast for countries to reduce global warming to below 1.5 degrees. The report has essentially given the world 12 years to act. The IPCC also warns that since 2017, global greenhouse gas emissions are on the rise again. At this rate, the planet’s temperature will increase by 1.5 degrees celsius by 2030. Advisor to the PM on climate change Malik Amin Aslam at IPCC side event at COP24. In his view then, the science is absolutely clear. What is needed is the courage to change our path. 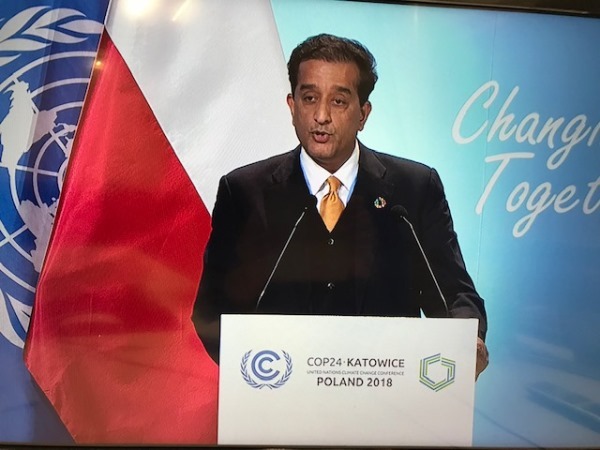 In his statement to the high level ministerial segment of COP24, Aslam said the reality of climate change “has been ferociously manifesting itself across the world – and especially in Pakistan, ranked 135th in terms of its contribution to global emissions but ranked in the top 10 vulnerable countries consistently over the past two decades”. Malik Amin Aslam the Advisor to the PM on climate change highlighting Pakistan’s vulnerability and its actions on addressing climate change like the Billion Tree Tsunami project. 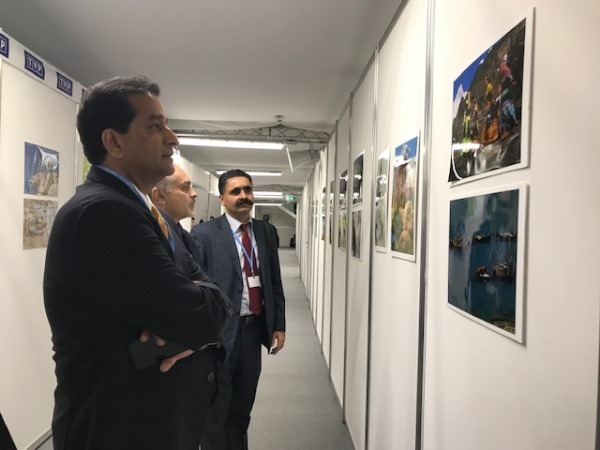 Malik Amin looking at photos from Pakistan taken by photographer Imran Choudhry and displayed at COP24. Pakistan is forced to cope with recurring floods, droughts, heat waves, melting glaciers and glacial lake outburst floods as well as shifting weather patterns. He offered to revise Pakistan’s NDC document before the Paris Agreement takes effect in 2020. Pakistan’s revised NDC will now account for the new programmes and actions that the present government has initiated like the Billion Tree Tsunami and investments in renewable energy. 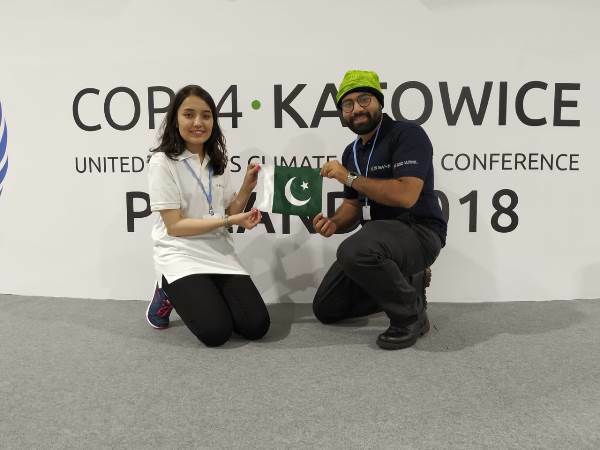 Pakistan had also sent two of its own youth representatives, 22-year-old Safeeul Haq and Sonia Madad from Islamabad who won a competition held by the Civil Society Coalition for climate change to attend the youth-led initiatives at COP24. 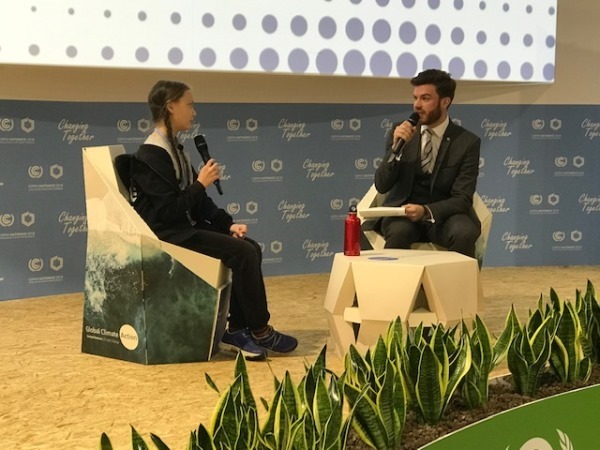 The inspiring school girl Greta Thurnberg speaking at side events at COP24. 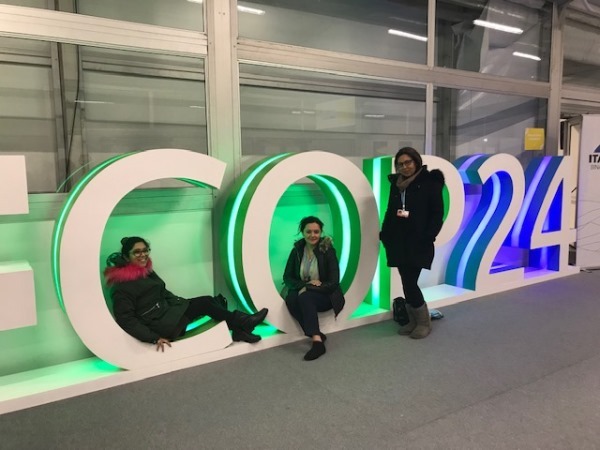 Youth representatives Safeeul Haq and Sonia Madad from Pakistan at COP24. 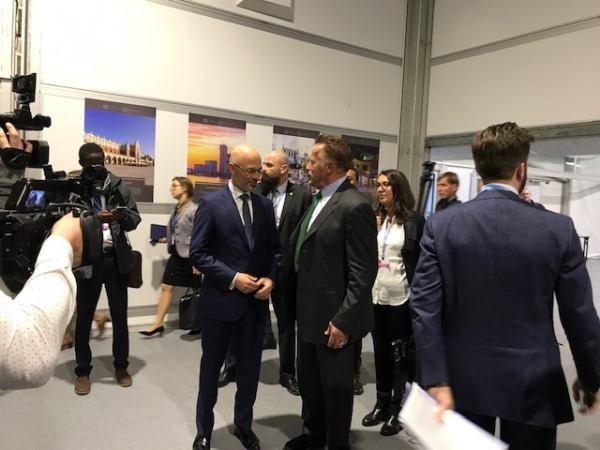 Thurnberg was referring to the big fossil fuel companies whose presence was everywhere at COP24 since almost 80% of Poland’s electricity comes from coal and Katowice lies in the heart of the coal mining region of Silesia. 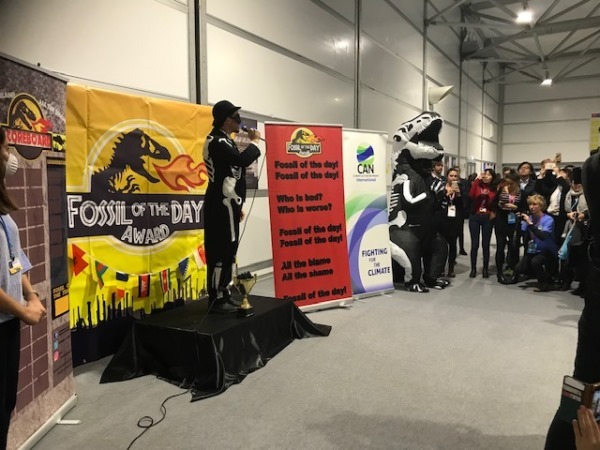 Many delegates joined Thurnberg in climate protests that took place midway through the conference, around a kilometre from the COP24 conference venue in Katowice. Thousands of people of all ages and nationalities showed up carrying banners saying “1.5 degrees C to survive” and “no future in coal”. However, this was overall a quiet conference focusing on “technicalities”. Very few heads of state made it to the icy cold of Poland in December. 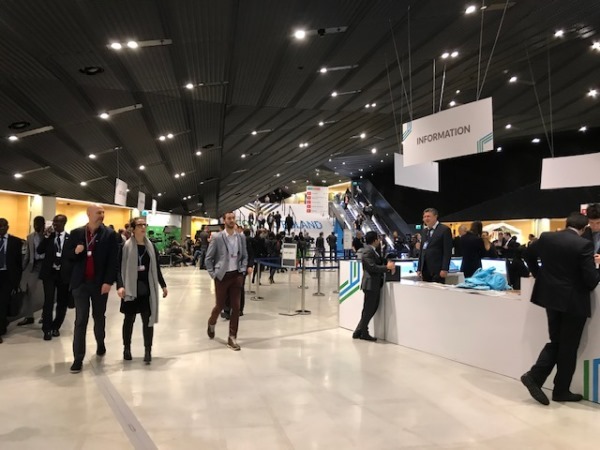 COP24 was overall a quiet conference focusing on “technicalities”. “Future generations will ask us one of two questions: why didn’t we act when he had the time or how did we find the moral courage to do the right thing?” said Gore to a packed hall at COP24. He explained that climate change will likely lead to food and water shortages, pandemic diseases, disputes over refugees and resources and destruction by natural disasters in regions across the world. He concluded that solutions to the climate crisis are available in the widespread availability of increasing low cost wind and solar energy and the use of electric vehicles. One of the biggest stumbling blocks to the implementation of the Paris Agreement is President Trump’s official pull out from the agreement. In fact, the US, Russia, Saudi Arabia and Kuwait refused to welcome the IPCC’s special report on 1.5 C.
The Fossil of the Day award that usually goes to big polluters like the USA, Saudi Arabia and Kuwait. The good news for Pakistan is that the country was elected as vice president of the COP and can now try to make global response to climate change stronger, equitable and more responsive in the year to come. Pakistani women climate activists Meera Ghani and Kashmala Kakakhel at COP24. Another gem from the foremost environmentalist of Pakistan. Good solid info for everyone reading this blog. 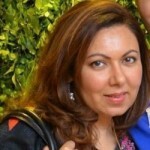 Ms. Khan is someone who knows who knows what she is writing about. The Polar Caps are shrinking. In the Arctic region the changes are drastic. The Arctic Circle, is melting. Due to the discovery of oil in the Artic Circle, the pollution is severe. It is estimated that the Polar Bear will be extinct in the wild in just a matter of years. They will survive in zoos, and zoos’ breeding programs. The Planet Earth has gone through at 5 Ice Ages. [Pleistocene Epoch. Glacial and Inter-glacial periods] Warming and cooling cycles of Earth. Unfortunately, Pakistan is in the forefront of countries bearing the brunt of this Global Warming. If you do a little research on the internet, you will see that scientists have been warning about all this SINCE the 70’s !! Starting with the hole in the Ozone Layer of the Earth’s atmosphere! !